Czech based developers CBE Software have been hard at work on what looks like a promising trek into the psychological horror genre. In Someday You’ll Return you play as Daniel, father to Stela, and it’s up to you to find your daughter. Daniel’s adventure will take him to places that holds secrets that are better left alone. There are couple features this game has going that help it stand out from the crowd. First. the places you play in the game are based on real world locations in the Czech Republic. You can actually visit and hike through these destinations yourself if you so desired. The other plus for this game is that this isn’t your typical “walking simulator”. Although there is no combat you’ll still be using crafting systems and survival techniques to get through the game. 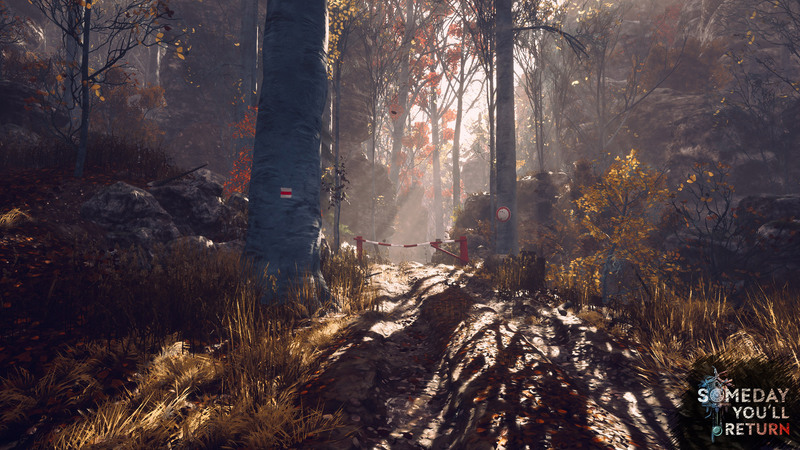 CBE Software has noted that games like the Silent Hill series, Outlast 2, Firewatch, Resident Evil 7, and The Vanishing of Ethan Carter all had an influence on Someday You’ll Return. I’d say that’s a good start already. Either way the trailer looks pretty good and shares some of the creepy vibes those games had to offer. Someday You’ll Return is set to launch sometime in 2019. What do you think? Does this look like a promising entry into the psychological horror genre?